Prices held their ground in October, thanks in part to reduced interest rates over recent months. According to REINZ, the national median selling price set a new record of $562,000 in October, despite staying in a very narrow range since March. The previous record national median price was $560,000 set in March, May and June this year, with prices mostly flat since then. The median price in Auckland was $865,000, which is 1.5 percent higher than it was in September but still below the October 2016 median of $880,000. The record Auckland price was $900,000 from March 2017. According to Westpac's chief economist Dominick Stephens in the Home Truths newsletter, this pattern of modest growth is likely to continue over coming months: "It is clear that the rate of house price inflation has lifted recently... This acceleration is coming from Auckland and Canterbury, which have shifted from slightly falling to slightly rising house prices, and from Otago and Southland, where house prices are rising fast... Meanwhile, the rate of inflation in Wellington and few nearby regions has eased a little." While REINZ chief executive Bindi Norwell is right in saying that "New Zealand is taking a different path to what we are seeing across the Tasman at this point in time," the muted growth patterns seen for much of 2018 didn't come out of nowhere. Much of the recent property value growth is being attributed to falling interest rates, a situation that is obviously not sustainable. It seems the market agrees, with fewer people expecting house prices to rise according to the ASB's Housing Confidence Survey. Only 26 percent of respondents are expecting house prices to increase over the next year, which is down from 38 percent in the July survey. Mr Stephens is predicting falling prices from 2020 onwards, saying "Mortgage interest rates will not keep falling forever... Actually, wholesale fixed interest rates have risen quite sharply over the past week or two. That should at least arrest the decline in fixed mortgage rates, if not reverse it... This is why we think the current housing market upturn will be short-lived. We remain convinced that mortgage interest rates will eventually rise significantly. At that point, we expect the housing market to be severely impacted. But with the Reserve Bank looking to keep the OCR low for some time, this is more a story for the 2020s than the current decade. 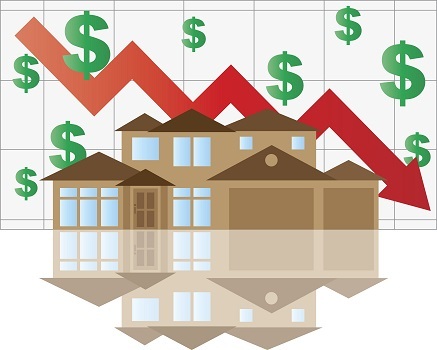 We are forecasting falling house prices in the early 2020s."